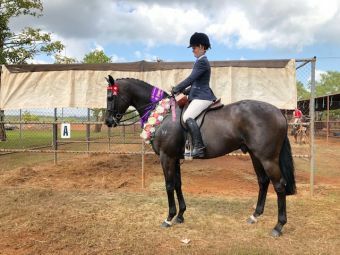 You may be thinking that Ace Or Joka, now a 12yo, was always destined for the show ring when Darwin trainer Angela Forster first spotted the horse in Gary Kennewell’s stable as a 2yo. However, Angela had to wait for a good few years to get her hands on the horse, as Ace Or Joka was a more than useful racehorse who went on to record 17 wins, 10 seconds and 8 thirds from his 82 starts, with stake earnings of $241,000. Ace Or Joka was retired at the age of nine and Angela was quick to put her had up to secure the gelding. He then started training in a totally different way – thoroughbreds are eager to please and Ace Or Joka was no exception, slotting into his new life in the show ring with ease. Before heading to the Northern Territory, Ace Or Joka competed in numerous shows including the Canberra Royal Show and Sydney Royal Show. 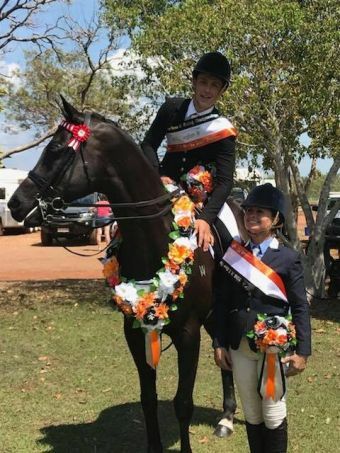 However, the 2018 Darwin Royal Show was Ace Or Joka’s coming of age – he took out Supreme Royal and Horse of the Year, thoroughbred-led and ridden classes with Angela and also James Bell in the saddle. 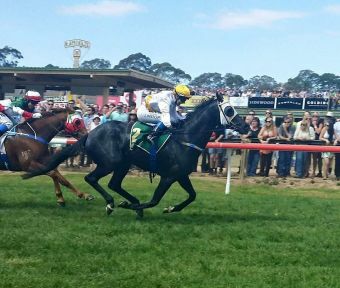 Ace Or Joka is currently having a well earned rest in the paddock down south and will be back up to the Top End again in 2019 to defend his title. There is no doubt he is loving his new life in the show lane, just as Angela envisaged he would when she first laid eyes on him all those years ago!